Bonnie Dobson was a folk singer in the 60's and by the end of the 60's she was doing more of a folk pop sound. (I like the albums I own of her especially For the Love of Him which is collected on Bear Family's Vive La Canadienne cd.) She wrote a couple of songs here. (She's most famous for composing Morning Dew.) There are some catchy songs here like Light of Love, Sweet Man, and Factory Girl. I used to own the out of print cd of this that came out in 2007 but unfortunately damaged it. That's ok. I got it on vinyl now. 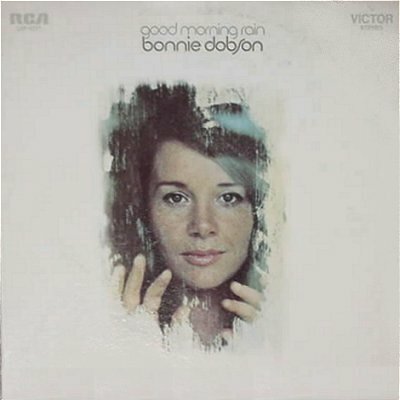 Her folk albums were her best but I found Bonnie Dobson and Good Morning Rain grew on me.